Scientists with the Service Enterprise Engineering (SEE) 360 initiative are studying drone-enabled services using a system known as SmartPark, a drone-based intelligent parking system designed to revolutionize the parking industry by identifying the closest vacant parking place in real time using a mobile app. Three industrial engineering graduate students from Penn State, who are members of a Service Engineering Academic Learning (SEAL) team, developed the program. Their idea reached the finals of Startup Week at Penn State, a University-wide annual event that gathers together some of the leading minds in innovation and entrepreneurship. 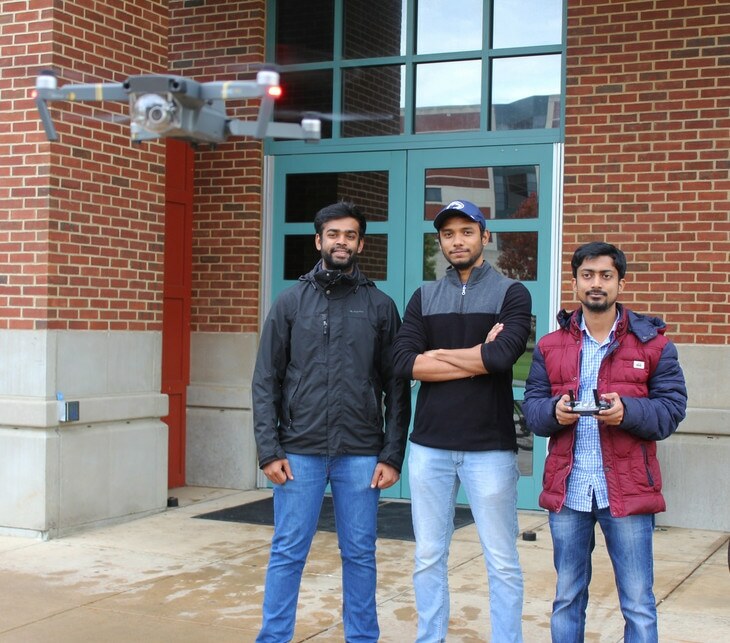 A demonstration was held earlier this month on the lawn outside of the Leonhard Building situated on the University Park campus in order to test the Drone Autonomous Aerial Research Asset. The aim of SmartPark is to enhance productivity by helping people find vacant parking spots quickly and effectively, while also reducing the possibility of altercations or conflict between drivers competing for the same parking spots. The implementation of this technology will also reduce the requirement for paying employees to work at parking booths. The general public will be able to utilize this initiative through the development of a phone app, also known as SmartPark. This program controls relatively low-cost technology for the betterment of society. Vignesh Ganesan, one of the graduate students working on SmartPark, found reasons why government officials would support this technological advancement. By ensuring smoother flow of traffic, reducing emissions, improving the use of parking facilities and identifying parking violators, this app will immensely benefit municipalities. In the master’s degree category of the annual SEE 360 student competition, organized by the student chapter of the Institute of Industrial and Systems Engineers, the SmartPark program was awarded first place. This achievement and subsequent award allowed the SEAL team to get helpful feedback from industry experts in order to progress technologically from the concept stage. Balamurugan Dhanabal, another SEAL team member, is optimistic about the possibilities that the future holds for the use of various other drone-enabled services. “With the recent improvements in drone technologies like longer battery life, increased emphasis on the safety of people by controlled flight and research on the development of drone charging pads and solar battery chargers, it is only a matter of time before drone technologies take over the marketplace,” stated Dhanabal. Aditya Ramdass, another SEAL team member, expresses excitement with regard to leading the way with research on drone-enabled services. Penn State’s industrial engineering program has long been an innovator in exploring emerging technologies, and drone-enabled services is no exception. SEE 360 is an inspiring environment for working on optimizing the productivity of society while working alongside some of the brightest minds in the industry.